My photo does little justice to the beauty that is 'Cote d'Opale'! I didn't manage to capture the pink-gold shimmer or much of the iridescent flakes. It's​ incredibly pretty in person. 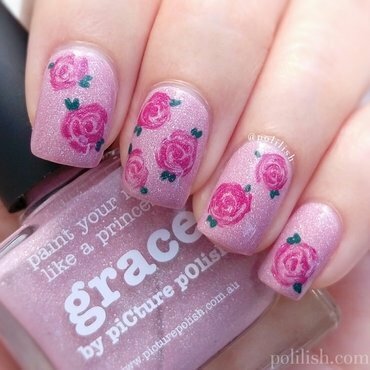 I stamped over it with a floral pattern from #MoYouLondon's 'Pro 08' plate and #EmilydeMolly 'Dark Pink' stamping polish. 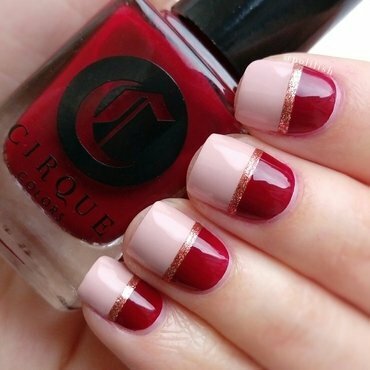 These were done freehand using #CirqueColors Don't Forget the Cannoli, Rehab, and Cin Cin (and a detail brush). 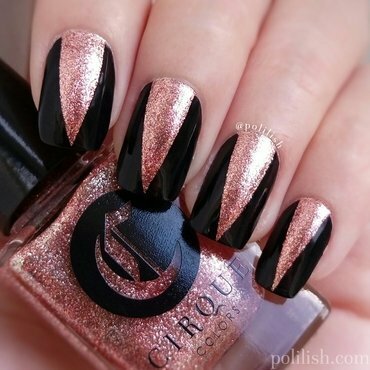 I used art deco vinyls from nail-mail.co.uk to get the chevron design. An oceanic design inspired by #picturepolish 'Salt Water' 🌊 The other two polishes I used, 'Superior' and 'Blue Dog', are also aquatic-themed, so I'm quite pleased with how they've all come together here! The background is dry-brushed using 'Salt Water' and 'Superior', and I stamped on the whirls using 'Blue Dog'. 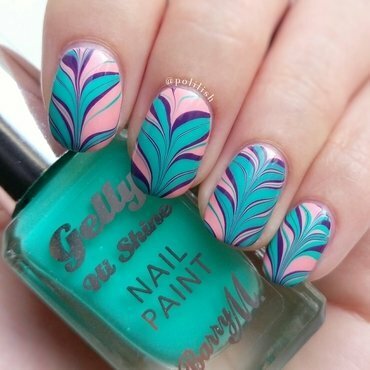 The stamping pattern is from #MoYouLondon's 'Sailor 04' plate. 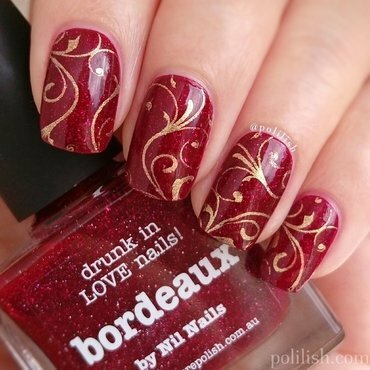 I stamped on some flowers and swirls over #picturepolish 'Meow', using this gorgeous pink-gold duochrome stamping polish, 'Mars' by #ColourAlike. 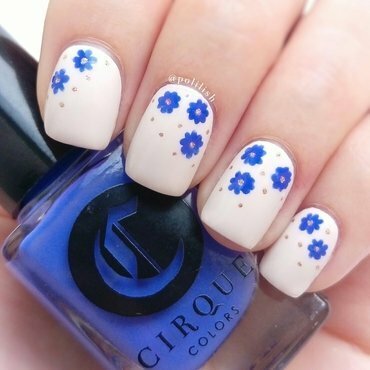 The floral pattern is from #CiciandSisi's 'East Style' plate (no.34), and thanks to them I also have a discount code to share with you - enter 'polilish' when you purchase from ciciandsisi.com to get 10% off! 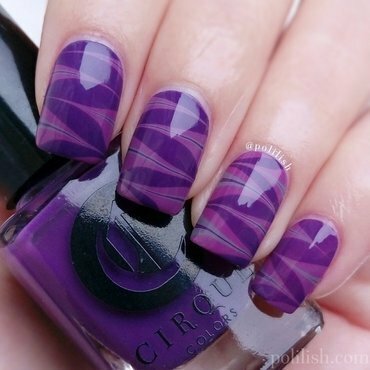 Purple watermarble featuring all Cirque Colors cremes! A lovely muted lavender-grey, opaque in two easy coats. Photo taken under indirect sunlight. 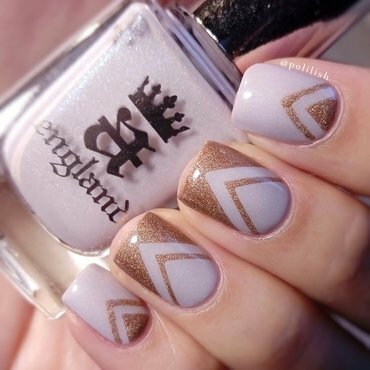 Simple and classic gold chevrons for New Year's Eve! 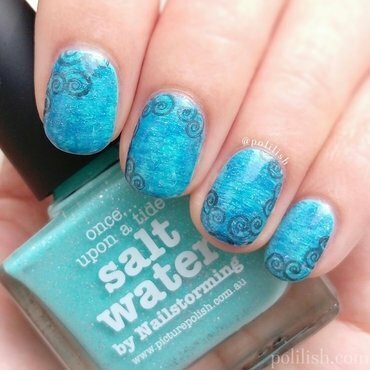 The swirls are from UberChicBeauty's 1-03 plate.